Right now, in my current collection... gotta be the Heritage H-150 OSB. Amazing craftsmanship, plays and sounds amazing! My only wish: wish the top had a better match... it's not bad but could be better. JCantrell, Magnets And Melodies and e??? like this. 2009 PRS SC245 57/08 charcoal and maybe my 2012 PRS DGT Standard white. Although I go through spells that I don’t play it much, this is the best guitar that I own, or have owned. Well, best for me anyways. The sum of the parts just work very nicely together. It was put together by a good friend of mine and is just random parts. 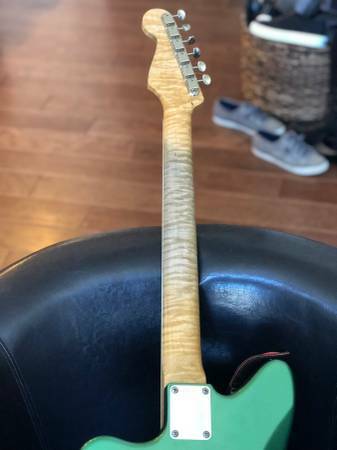 Allparts V neck, 80’s MIJ Fender body (I think), I’m unsure of the pickups, but they’re not expensive and sound so good! ), vintage style hardware. I changed the pickgaurd and rewired it, but that’s it. I’ve played it for years, played many shows with it, and put some wear on it. Mike Duncan and e??? like this. My 2004 American Deluxe V-neck Strat. Completely made it my own. Refinished it from Honey Blonde to Orange Kandy over silver metallic. I even went so far as to paint the 'Volume' and 'Tone' in the knobs with copper paint. Installed Kinman Blues pickups in a white pickguard with the 50's wiring mod and moved the tone control from the middle pickup to the bridge pickup. 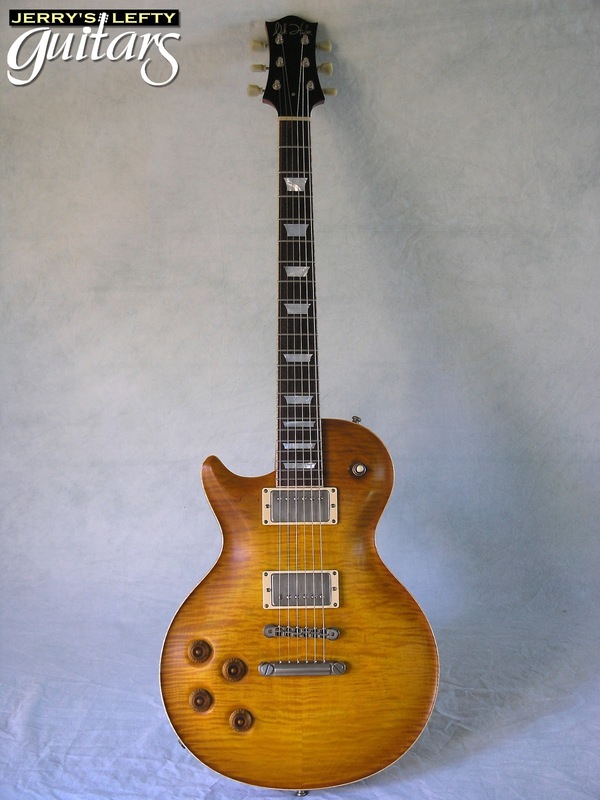 It has my favorite neck shape and width, the most comfortable to play guitar I own. 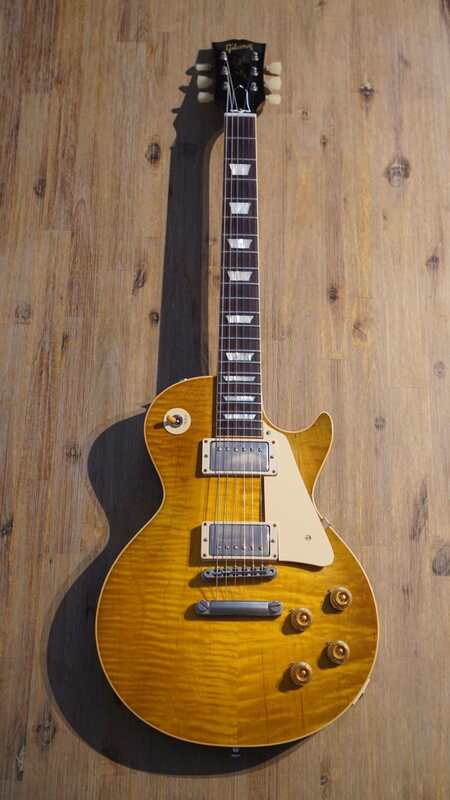 Looks great man, les Paul's that are too pristine look strange, like a prs or something. And heritage is top tier Gibson style if you ask me. Recent purchase but this has the playability and feel and sounds that I’ve been chasing for years. I’m kind of pissed I didn’t do this before. Yeah, that’s a honey. My H535 is the only guitar I’ve ever owned that I wouldn’t change a single tiny thing about. This one. I don't know if it's my favorite right now, but it's been to every gig I've played and I can't see myself letting it go. 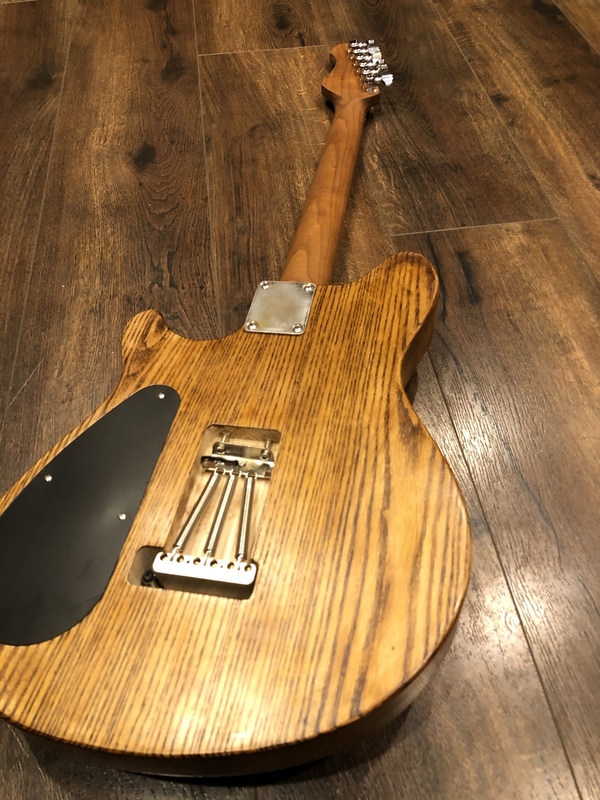 Extremely faded and worn, with changes made by both preference (Gotoh tuners, Wolfetone pickups) and necessity (Schaller strap locks, metal jack plate, Faber bridge, nut). 7.6 lbs. But because it's only a year old, it's too soon to know if it's my new "The One." It's my "Friendo Telecopy," a build made from an MJT body and Musikraft rosewood neck. 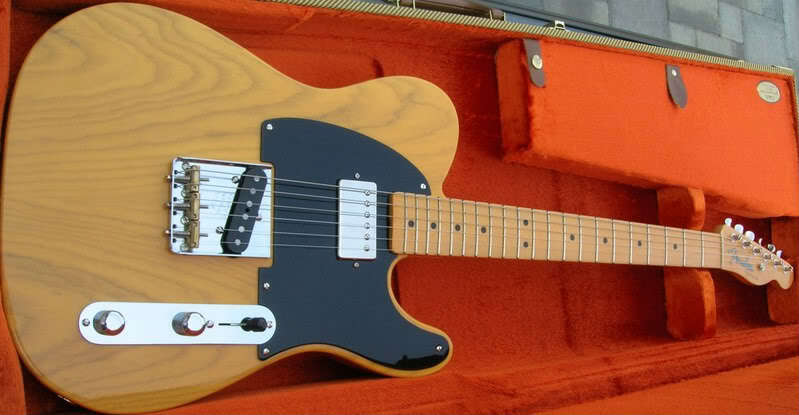 It's basically a modernized '65 - '66 Tele, specs-wise. JS-29 and e??? like this. I cycle through a lot of guitars also to have a “one” I think. Today, one of them will speak to me more than another-Some are partscasters and some are brand name. But now there might be an exception. I just finished assembling this guitar in the photo. Stained and finished it myself, did the fret job, etc. You know, all the stuff that goes into a raw parts build. It turned out fantastic, I mean better than I could’ve ever hoped. Sounds great, plays great, the trem feels great. It’s just a joy to play and gives me what I want, including lots of vibration in the neck and body. But I think what makes this one more special is out of all the guitars I have or had, my youngest son just loves this one. He’s only 5, but it already has sentimental value because of how he looks at it and admires it. And that right there touches me because it’s the ultimate reward for the work I’ve put into it. And believe me when I say I’ve screwed up about every finish I’ve ever done. So here’s my Wolfgang parts guitar. Switters, 3940bigdaddy and Qmax like this. I can't believe I've actually had this guitar for four years now. There are a few others get some attention but this Maguire Meridian has been my number 1, played all over Connecticut and Rhode Island in that time. 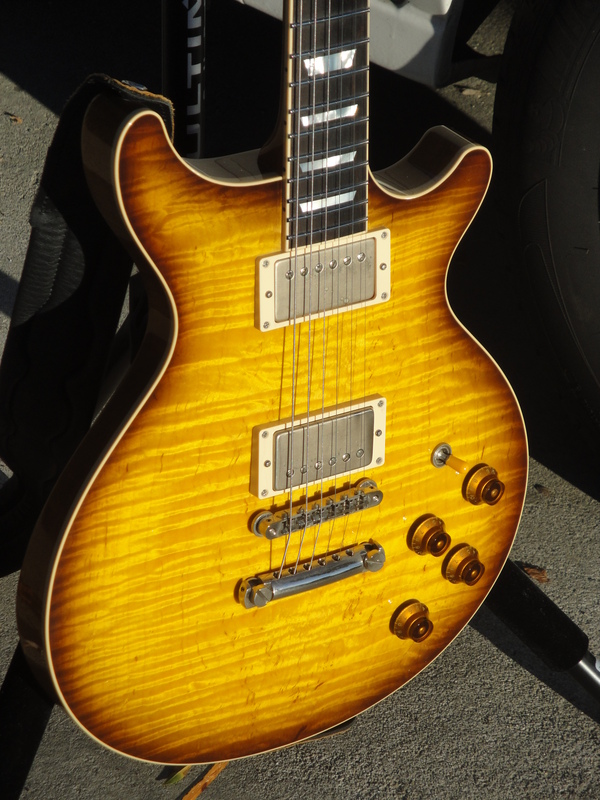 She was recently at the Artisan Guitar show where Jimmy Bruno had his way with her for about an hour. She learned some new licks and chords from Jimmy (man can he play), but she still came home with me. 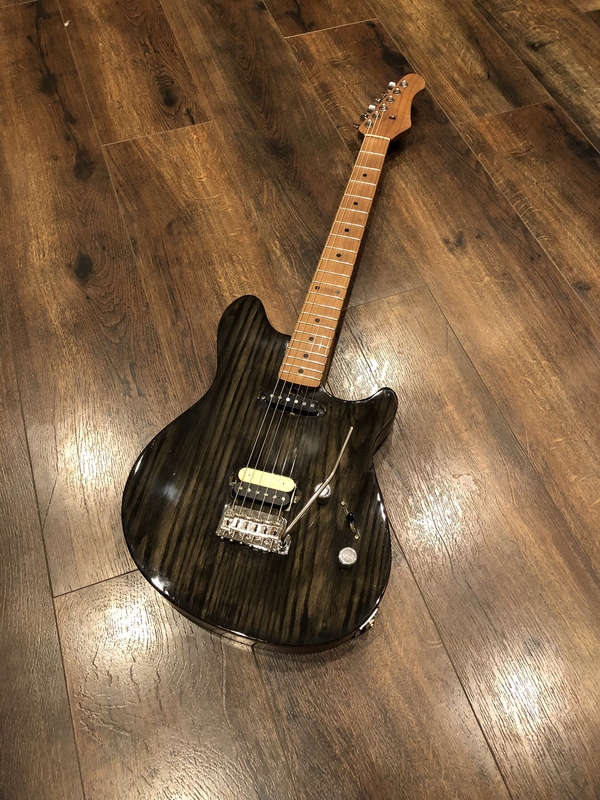 "The One" is my 2009 '52 RI 'Thin Skin' I bought new from Wildwood Guitars. This guitar is such a versatile gigging machine that does everything from clean to dirty so well. CS Nocaster bridge pickup, '59 SD Humbucker neck pickup, 9'5" fretboard and 6105 frets. Inoshishi, Aaron Robinson and apalazzolo like this. Unfortunately I was stupid enough to in fact part with it and sell it. Probably my 78 Iceman that I purchased 40 years ago. One of these days I need to do a sound clip with me rocking this thing. My one that I'll never ever under any circumstance less than death? 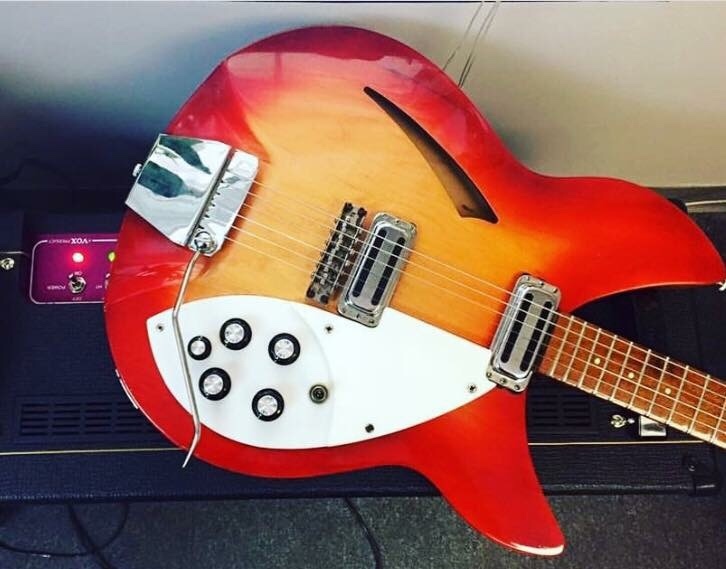 My ES-339. It just does it for me. That being said...I'll always desire a trem of some sort for some reason. Jury's still out on that, but I love my Charvel DK24 and just got an Ibanez AZ242BC that's killer. Tough choices, but Whiskey stays no matter the what. My Thorn G/T in my avatar. Irreplaceable. 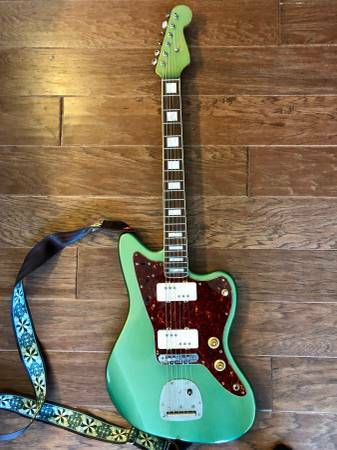 McGibney Jazzmaster... 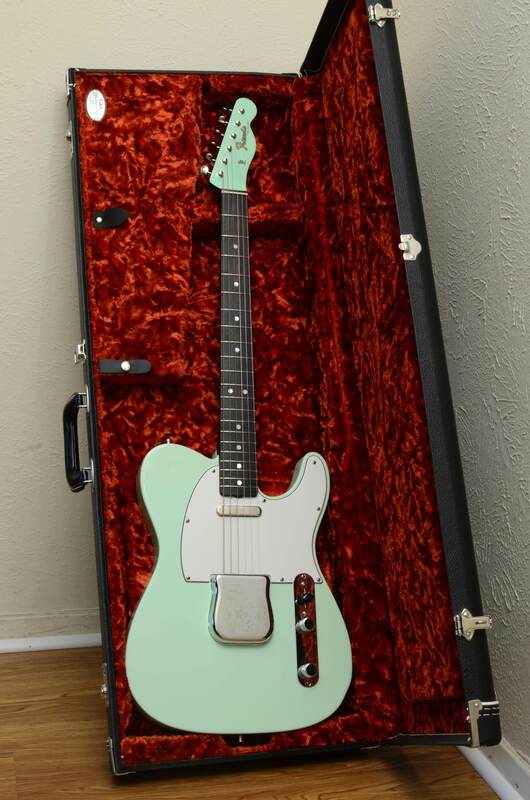 I got this in a trade and it was literally the exact 'signature model' guitar I would request. 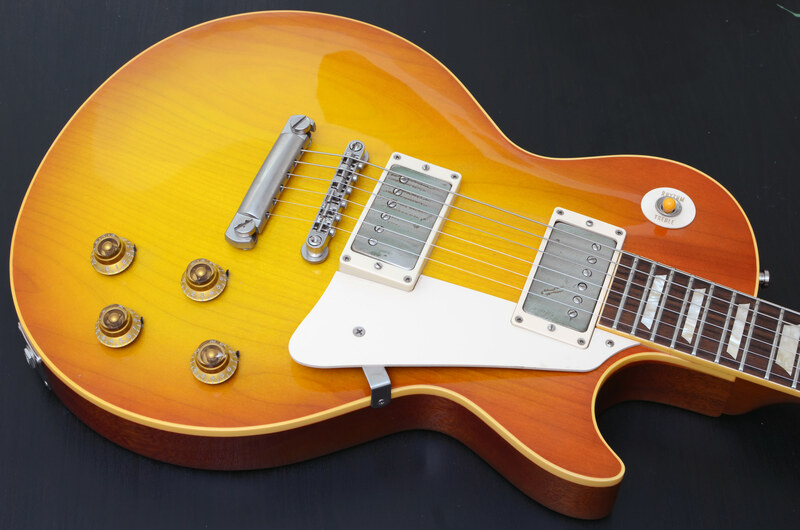 Fender scale length, high figured quilted neck with the shape + string spacing of a 50's les paul traditional. And the mastery vibrato is like a short-travel floyd, can do flutters and stays in tune way better than any high end 2-point trem I've ever used. your name here likes this. The last couple weeks my Briggs has clearly been the one. Funny how I bounce between my Gibson R8 (earlier in the thread) and my Briggs as to which is the "One". Clearly between these two on any given day.